How Much Does the 2017 Volkswagen Passat Cost? How Many MPG Does the 2017 Volkswagen Passat Get? What’s New for the 2017 Volkswagen Passat? The 2017 Volkswagen Passat has long been a favorite in the midsize car class, earning the accolades of consumers and the automotive industry alike with its combination of a spacious, well-appointed interior with both safety and performance. Here’s what Passat fans can expect from the 2017 model. While there are few changes to this model year after several key updates for 2016, one new feature stands out: the inclusion of forward collision warning and automatic emergency braking technologies at all trim levels. Regardless of which Passat you choose, you and your family be protected with these state-of-the-art safety features. When it comes to safety, the 2017 Passat has also earned a five-star overall safety rating from the National Highway and Traffic Safety Administration and Top Safety Pick designation from the Insurance Institute on Highway Safety. In addition to these safety features, you and your passengers will enjoy an extensive range of comfort and convenience features in the entry-level Passat, including dual-zone climate control, a rearview camera, a six-speaker audio system, Volkswagen proprietary MIB II infotainment system with a 5-inch touch screen along with both Bluetooth and USB connectivity. Drivers who want to up the ante can choose from four other 2017 Passat trim levels. The R-Line has refined suspension and a sportier look; the Passat SE adds the Car-Net telematics system; the SE with technology includes additional luxury features like adaptive cruise control, remote start, and navigation; and the fully loaded Passat SEL-Premium has all those features plus Fender Premium nine-speaker audio system, leather seats, driver’s seat memory settings, and lane departure warning. With specs and features like these, it’s no wonder that the Passat is the best-selling Volkswagen in history. 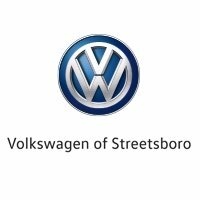 If you’re shopping for an exceptionally well-rounded, stylish midsize sedan, stop by Volkswagen of Streetsboro to check out the 2017 Passat in person. Our customer-focused sales team will be happy to assist. * Starting MSRP of $22,440 for a 2017 Volkswagen Passat S 1.8L TSI® with 6-speed automatic transmission. Prices exclude transportation, taxes, title, other options and dealer charges. Dealer sets actual price. ** 23 city/34 highway mpg (2017 Passat 1.8L, 6-speed automatic transmission). EPA estimates. Your mileage will vary and depends on several factors, including your driving habits and vehicle condition.